Is Your Roof Replacement Good Quality Or Have You Been Scammed? Are you in the process of getting a new roof? Do you know what you need to check before making your last payment so that you get the roof you paid for and aren’t getting stiffed with a lousy roofing job? Few things are worse than spending money on a roof replacement or repair only to find out that the roofer you trusted cut corners and left you with a bigger problem than before. Let us help you prevent this from happening. 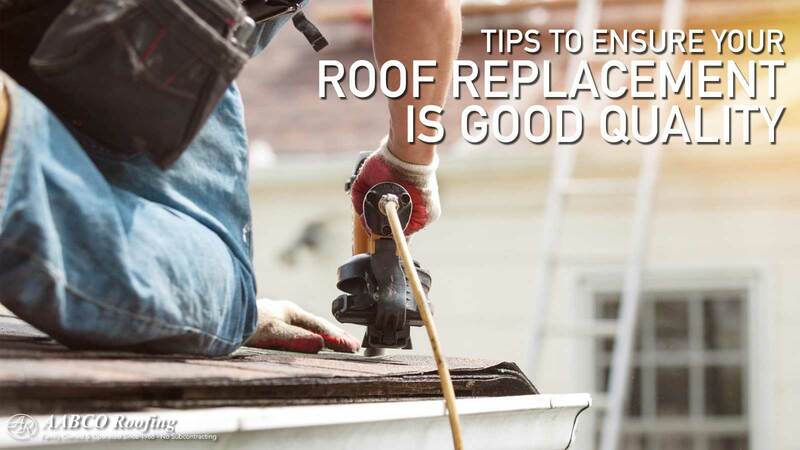 Here are some tips to help you ensure that your roofer’s job meets quality standards, before you sign off on and part with your hard-earned cash. Have Competitive Rates – suspiciously low rates can be an indication that the contractor is cutting corners and will not provide the proper service to adhere to South Florida’s strict safety regulations. Be sure to look at quotes from roofing competitors, compare apples to apples and do your homework. The best price doesn’t mean then best job. Once you have decided on a roofing company, no matter how reputable they are – you should always keep an eye on the quality of work being done. The earlier a problem is spotted, the sooner it can be fixed. The most obvious sign of a bad roof job is the way the roof looks to the naked eye. If something looks off about the new roof such as mismatched colors of the shingles or tiles your contractor could have cut corners. Another sign that something could be wrong are water stains. If you are noticing leakage through the attic, there is a definite problem. Although most leaks can be repaired easily, they can still cause significant damage to your home’s interior and a new roof shouldn’t be leaking. Have you spotted any missing tiles or shingles? If yes, you should reserve payment until this is repaired. Missing tiles or shingles could mean the contractor didn’t get the proper city required inspections for the re-roof – or if repairing the roof compromising the structural integrity of the roof. Ignoring these signs will cost you more money in the long run and could even impact your family’s safety. After your new roof has been installed or repaired it is important to conduct a final inspection of the work done before you make the final payment to the roofing contractor. Doing so allows for the contractor to leave you with work that meets your and industry standards and ensures that you cannot be held liable for damage you did not cause. An inspection is only useful if you know what to look for. It is always best to bring in an experienced roofing company as they will know exactly what to look for and can help you avoid hefty medical bills as a result of a DIY inspection. They can check that the roof is sealed correctly; ensure that there are no loose tiles or shingles, and can spot mildew or other signs of decay. A roof inspection in hurricane prone Florida can save you more than just a pretty penny, it could also save your life. At Aabco Roofing your safety and roofing needs are a priority to us. Get in touch with us today – we look forward to being of service.